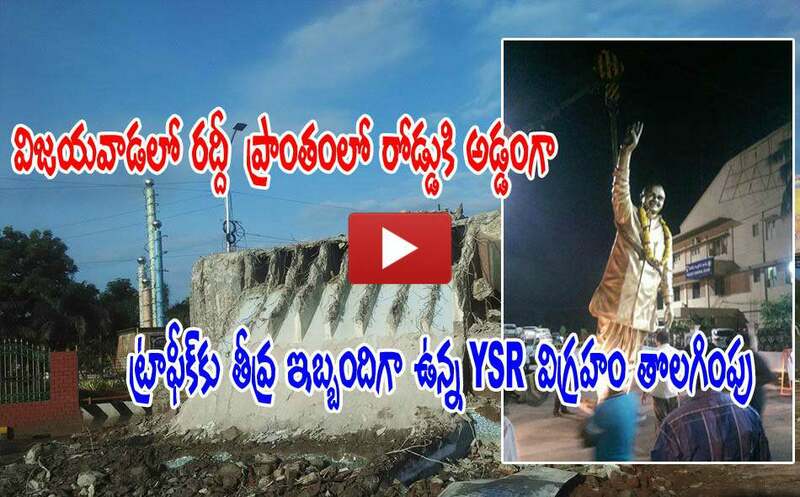 YSR statue, which is blocking traffic, opposite to police control room, near Pandit Nehru Bus Stand in Vijayawada has been removed yesterday night. The statue is placed at the starting of the flyover, leaving a very narrow road to the flyover entrance. Because of this statue there are frequent traffic jams, here. Keeping in view of the heavy traffic rush for upcoming Krishna pushkarams, the district administration has decided remove the statue and removed this last mid-night. This statue was installed by Rajagopal Foundation, headed by Lagadapati Rajagopal, the ex-MP of Vijayawada. Since then there are demands from people to remove this, as it is blocking the traffic. I support removal of the statue. Rajgopal Foundation should be ashamed of statues of such insignificant persons.